The state of Tamil Nadu is located in the south eastern part of the Indian peninsula. Tamil Nadu is bounded on the east by the Bay of Bengal, in the south by the Indian Ocean, in the west by the Arabian Sea, the States of Karnataka and Kerala, and in the north by the states of Karnataka and Andhra Pradesh. The state of Tamil Nadu is the 11th largest state in India. The city of Kanchipuram is located in the state of Tamil Nadu in the southern part of India. The temple town of Kanchipuram is a favored destination for the tourists from all over the country and the world. The city of Kanchipuram has something in store for both the leisure and the business tourists. There are various types of Hotels in Kanchipuram, from the deluxe hotels and other star hotels to budget hotels. The Hotels in Kanchipuram are well known for their traditional warmth and hospitality. 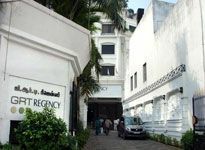 The Hotels in Kanchipuram offer first-rate cordial reception and immaculate service to the tourists visiting Kanchipuram. 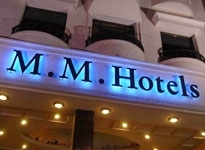 There are numerous hotels in the state of Tamil Nadu, which are spread in all the cities of the state. A big number of hotels have been built in Kanchipuram in order to meet the ever growing needs of the tourists who flock to this place. A large number of people from all over the world visit Kanchipuram throughout the year. The tourists, staying in the Hotels in Kanchipuram, can enjoy cuisines from different parts of the world at the various restaurants which prepare special food items. All of the Hotels in Kanchipuram provide good accommodation, food and other essential amenities for the tourists in order to cater to their various needs.